Recently a statement in a secular magazine caught my eye. It spoke of the importance of practicing acceptance and gratitude in living well with limitations. It made me think. How does one practice gratitude if one does not believe that God gives all good gifts? Whom does one thank? And what does it look like to practice acceptance as a follower of Jesus Christ? But the reality is that God is Truth. He works within and through the truth. He always starts from where we are, not from where we wish we were. Healthy, God-centered acceptance faces the facts – both the human limitations of our situation and the power of God’s grace to work all things together for good in ways we can't imagine. Mere resignation to my illness would mean giving up hope. Acceptance, a stronger, truer act, is not passive, not merely giving up or giving in, but actively embracing reality in the hope of what God will do in the midst of it. Acceptance lives within my limits, not fighting them. It delights in the gift of space to listen to God’s heartbeat rather than resenting my inability to listen to babies’ heartbeats. Instead of feeling inadequate because I need help, acceptance frees me to receive and enjoy the community God provides. Acceptance is not merely “coming to terms with something” but is the “act of willingly taking a gift” or the “agreement to an invitation or offer.” (MS Word dictionary) I have a choice. I can cling to dreams of an unreal life and miss the gift of the present. Or I can embrace the life held out to me, receiving with it the God of Truth who delights in working through weakness and bringing beauty out of brokenness. 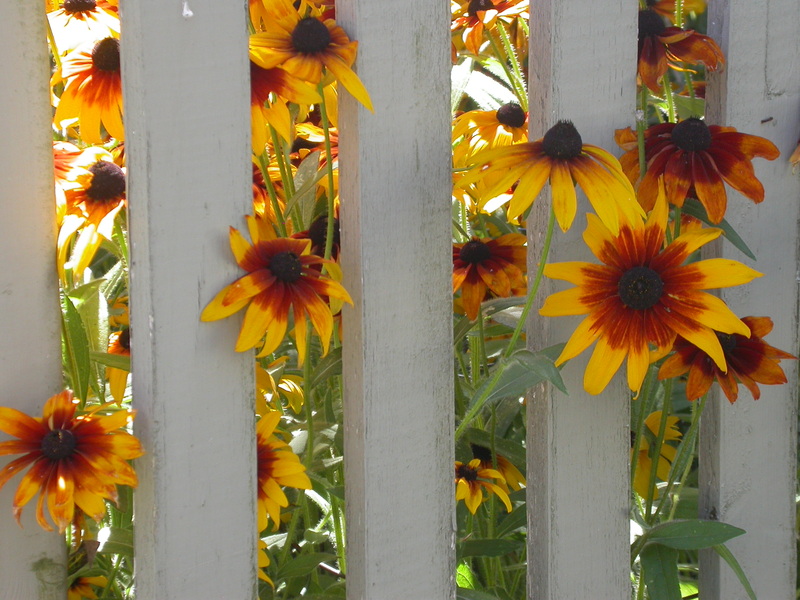 If I spend all my energy hating the fence and wishing to return to the time when it did not surround me, I'll fail to see it as the perfect place to plant sunflowers. Acceptance is gratitude's sister. Being grateful for daily grace-gifts helps me see the beauty in the life offered to me now. It's hard to fight something when you see Love's fingerprints all over it. Care to join me in embracing whatever shape of life-gift God is holding out to you today?